Have you recently developed a liking for the K-pop sensation BTS? Catching up with the breakneck speed of the band’s career can feel overwhelming, but you have to start somewhere. Here is a complete guide to the seven bandmates. From its advent to its meteoric rise, this guide will tell you everything you need to know about BTS. Or if you are simply wondering about the hype around the band, allow us to enlighten you about BTS’ catchy songs, heart-pumping dance moves and colorful personalities that have catapulted them to stardom. BTS is an abbreviation of the Korean words Bangtan Sonyeondan, which literally means “Bulletproof Boy Scouts.” Many English-speaking fans simply call them Bangtan Boys. In 2017, the group said BTS also stood for “Beyond the Scene” as part of its new brand identity. The septet consists of rappers Suga, J-Hope and RM, who is the leader, and vocalists Jimin, V, Jin and Jungkook. The bandmates are in their early to mid-20s. They were all selected through nationwide auditions of Big Hit Entertainment, helmed and founded by veteran producer-songwriter Bang Si-hyuk, who is also one of the founding members of K-pop powerhouse JYP Entertainment. In the early days, BTS struggled like many other rookies, but more so coming from a small, nascent company in the industry dominated by heavyweights S.M. Entertainment, YG Entertainment and JYP Entertainment. 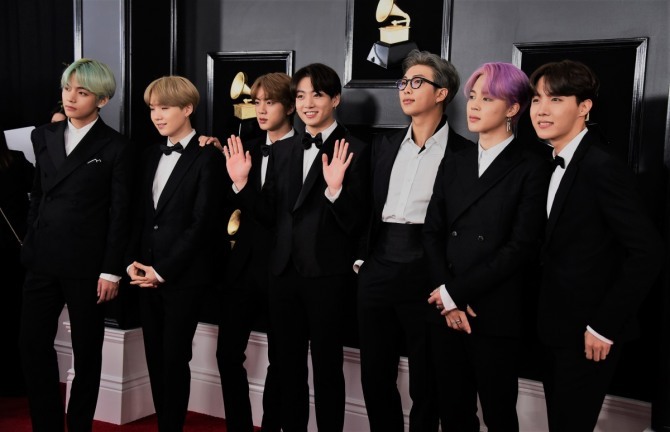 But with the band’s powerful music and performances, relatable, social-conscious lyrics, and a devoted fan base that is growing, BTS grew to become one of the most prominent bands globally. In just six years, it has rolled out six studio albums, four compilation albums and five EPs. 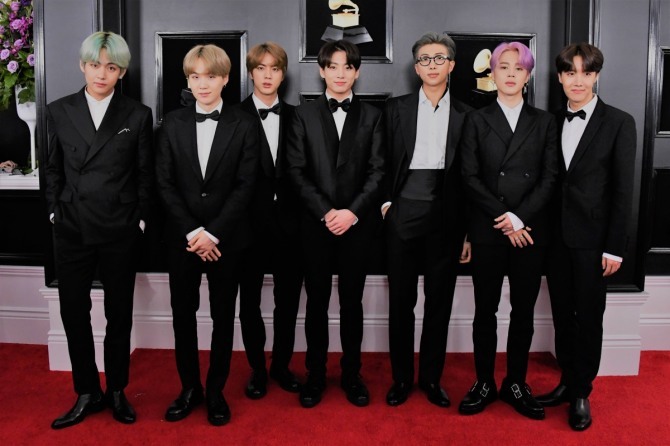 It has also bagged all of the most sought-after music awards at home and broken records globally, including becoming the first Korean band to top the US Billboard chart. Where to start with BTS’ music? If you think BTS’ hefty discography is daunting, for starters, it would be best to master the hit songs first in chronological order, and then explore other songs in albums and solo tracks of the members. One thing worth noting is that BTS, from day one, has highlighted thematic concepts, weaving together series of songs, albums and materials, which BTS describes as its own “narrative.” This also makes up the Bangtan Universe, a fictional universe centering on a series of music videos, songs, album notes, short films and most recently webtoons. These overarching concepts have changed over time, so let’s take a look. The first “School” trilogy kicked off with the debut album “2 Cool 4 Skool” in June 2013. In September that year, BTS dropped the second installment of the saga, the EP “O!RUL8.2?,” followed by the final part, the EP “Skool Luv Affair,” in February 2014. All three albums deal with certain aspects of school and schoolboys, delving into life, love, happiness, dreams and the struggles of teenagers while portraying the image of a rebellious youth. In April 2015, BTS released “The Most Beautiful Moment in Life, Pt. 1,” kicking off the “Youth” series with the theme of the beauty of youth and its uncertainties. This album propelled the band from an underdog to the mainstream. The lead track “I Need U” landed the group its first trophy on Korean music shows, while “Dope” is widely credited for boosting its fandom, known as Army. Global fans were hooked by the music video of “Dope” that featured powerful raps and synchronized dance moves, with YouTubers worldwide reacting to the clip. Riding on its newfound popularity, BTS dropped the second installation, “The Most Beautiful Moment in Life, Pt. 2,” in November. Fronted by the single “Run,” the album became its first album to land on the Billboard 200 at No. 171. In 2017, BTS began a new era with the acclaimed “Love Yourself” trilogy centering on the theme of self-love. The EP “Love Yourself: Her,” released in September that year, became the first K-pop record to debut in the top 10 of the Billboard 200 chart, landing at No. 7. The lead track “DNA” and “Mic Drop” -- remixed by American DJ Steve Aoki -- reached No. 67 and No. 28, respectively on the Billboard Hot 100, the top singles chart. Continuing the series, in May, BTS dropped its third full-length album, “Love Yourself: Tear,” which debuted at No. 1 on the Billboard 200 chart, becoming the first and only K-pop act to top the chart. 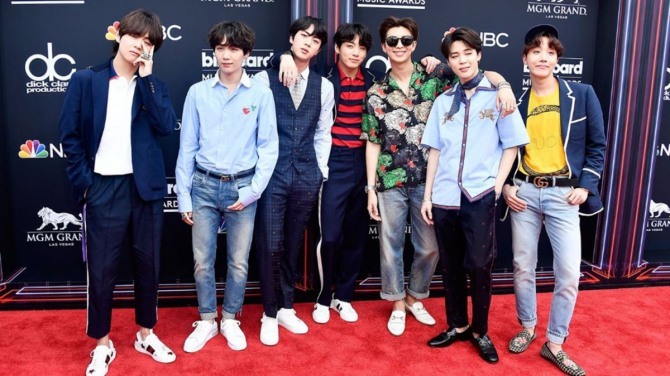 Leading the album is the track “Fake Love,” which made a record-breaking debut of No. 10 on the Billboard Hot 100. In just three months, the “Love Yourself” trilogy came to an end with its final installment, “Love Yourself: Answer,” a compilation album consisting of the lead single “Idol” and songs and remixes from the previous “Love Yourself” series. BTS is not the first or only K-pop group to enjoy popularity both at home and overseas. Predecessors like Wonder Girls, Girls’ Generation, EXO, Big Bang and 2NE1 all made it on the Billboard Top 200 and held sold-out concerts overseas. Psy’s record-breaking hit “Gangnam Style” also opened up the West to the world of K-pop. Still, none of them experienced success on the scale of BTS, whose popularity continues to soar. The band has experienced a lot of firsts: It was the first K-pop act to perform at the American Music Awards in 2017. 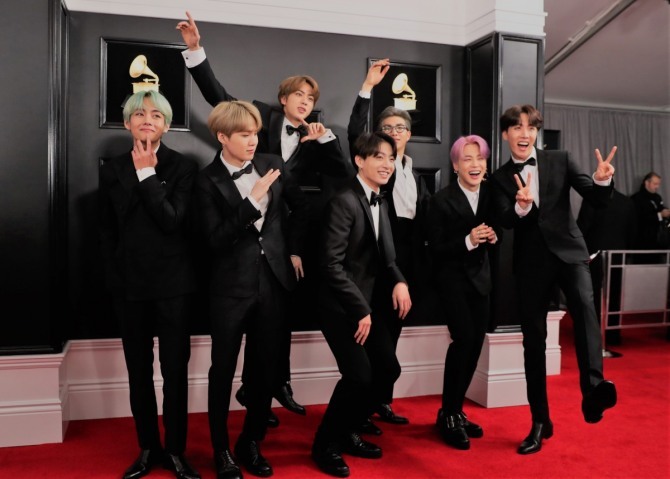 It was the first Korean band to be nominated for and to win the Billboard Music Awards, taking home the top social artist award two years in a row and beating out artists like Justin Bieber and Ariana Grande. The list goes on. The fact that BTS doesn’t have to sing an English song to achieve this feat makes the septet even more impressive. What’s behind this? While it’s hard to pin down one specific factor, here are some possible reasons. It’s difficult to categorize BTS’ music into one particular genre, as the band incorporates diverse styles, including hip-hop, rhythm and blues, trap, rock, electronic dance music, house and K-pop. Initially billed as a “hip-hop idol group,” the band has evolved over time, adapting to the trendiest pop genres and appealing to international audiences. But one thing hasn’t changed since day one: the septet co-writes and produces most of its music with the help of producers. And they are extremely talented. In addition, BTS’ edgy performances, upbeat onstage energy and in-sync dance moves have attracted a loyal group of fans. Their stylized music videos, with cinematic and lyrical storytelling, are artistically pleasing to viewers, beyond just the melodies and lyrics. 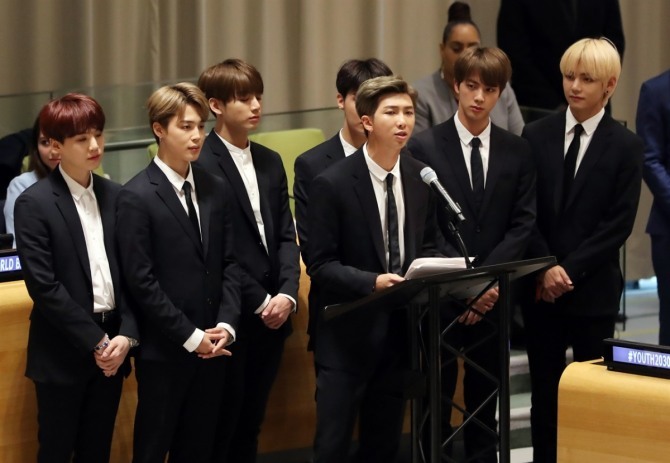 In creating unique music, BTS has touched on serious issues, such as depression, anxiety, hardships and struggles that both they and listeners have faced, breaking the norm of other K-pop acts that sing about love, beauty and relationships. The group doesn’t shy away from tackling social issues and political situations in its songs, which is seen largely as taboo in the K-pop industry. The very meaning of the band’s name -- “bulletproof” -- carries that mission, representing the band’s hope of becoming someone who defies prejudice and oppression against the young generation. “We started to tell the stories that people wanted to hear and were ready to hear, stories that other people could not or would not tell,” Suga was quoted as saying in an interview with Time. Group leader RM also attributed the band’s success to its vulnerability and honesty. “We talk about our own turmoil and mental breakdowns as honestly as possible in the music and (how) it grows with us as we get older,” he told the New York Times. This rare authenticity and honesty were a breath of fresh air in an industry made up of bands and artists pressured to look happy and stress-free and to keep up appearances. Fans could relate to BTS like friends, and also be inspired and motivated by the messages in its music. 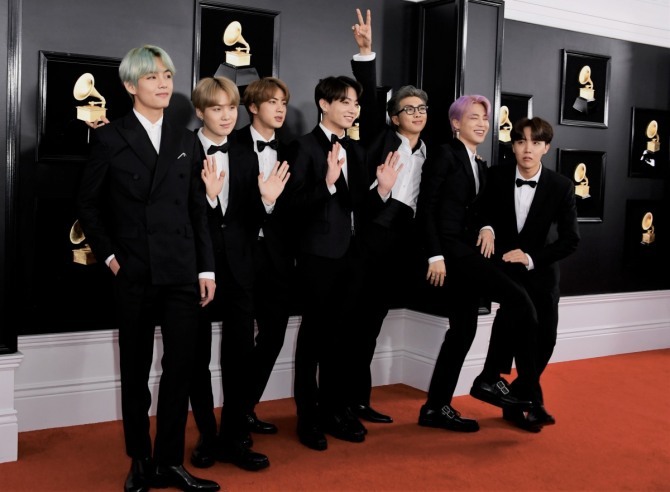 BTS’ social media prowess, along with the increasing use of social media around the world, is credited as a major factor behind BTS rise to fame. BTS created its Twitter account in July 2011 and YouTube channel in 2012, to directly communicate with fans even before its debut. Since then, BTS has heavily relied on various social media platforms, such as Twitter, YouTube, Facebook, Naver V Live and Instagram, to promote itself online. This was different from other K-pop idols from big name agencies like JYP Entertainment, YG Entertainment and S.M. Entertainment, which used Korean TV shows and news outlets to promote themselves. As a smaller company, Big Hit didn’t have enough resources and financial backing to aim for more air time and exposure. Rather than fighting against the giants, it focused on social media, and the strategy worked. Even when BTS wasn’t on TV much, the bandmates were building strong social media connections through candid pictures on Twitter, self-created videos on YouTube’s Bangtan TV channel, which boasts 15.12 million subscribers, and livestreaming on Naver V Live. Fans didn’t need to sit in front of a TV; they could follow BTS on their mobile phones. followers one step closer to the life of the stars. They managed their own social media presence in their own language and without hiatus. BTS posts something almost every day. Unlike other K-pop idol’s accounts that are operated by agencies, Big Hit stressed that it was important to give BTS autonomy to run its social media accounts. Whether after receiving awards or appearing on US talk shows like “Ellen DeGeneres Show,” one thing that BTS never forgets to mention is its gratitude and love for its fervent followers. The strong, devoted fan base of BTS is called Army, which stands for Adorable Representative M.C for Youth. And it’s fair to say that BTS has thrived thanks to its international fandom, which is estimated to be over 1 million. Fans don’t just follow BTS on social media and watch TV shows featuring the group. They spend big bucks to attend concerts at home and overseas; pay for ads in subway stations across Seoul and Times Square in New York City; buy albums and merchandise; and donate to charity. Last year, Army raised over $1 million for a campaign run by UNICEF and BTS to end violence against children and youths. Army’s devotion certainly had something to do with BTS topping Billboard charts, as fans cast hundred millions of online votes. There is even a dedicated Twitter account (@bts_billboard), with 767,192 followers, that provided instructions on where to vote and where to buy and stream the album, to rise on the Billboard charts. 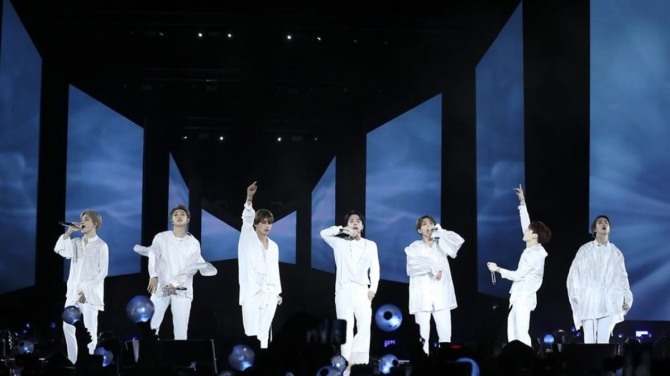 Fans helped spread the BTS wave across the world. 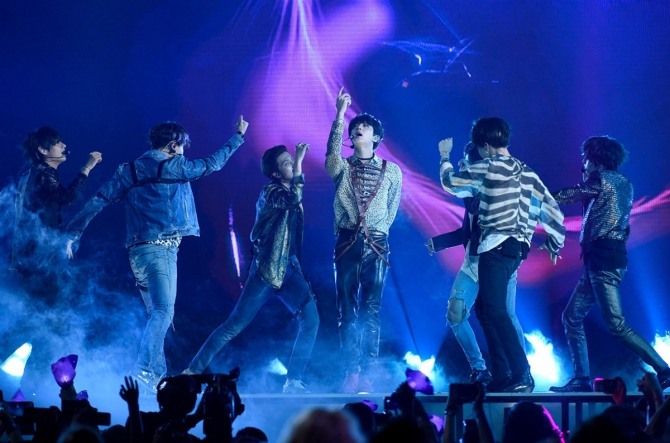 For instance, when the song “Fake Love” was released last year, fans across the world immediately translated the lyrics into English, Japanese, Chinese, Arabic, and distributed the different versions on YouTube.